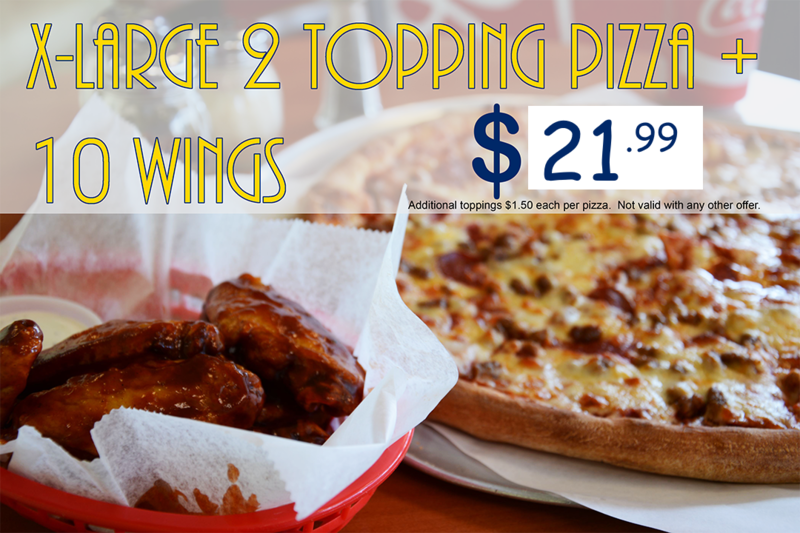 XTRA Large 2-topping pizza and 10 wings: $21.99 Additional toppings are $1.50 per pizza. Not valid with any other offer. Limited time offer.